Did you know the word ‘bunion’ comes from the Greek word for turnip? 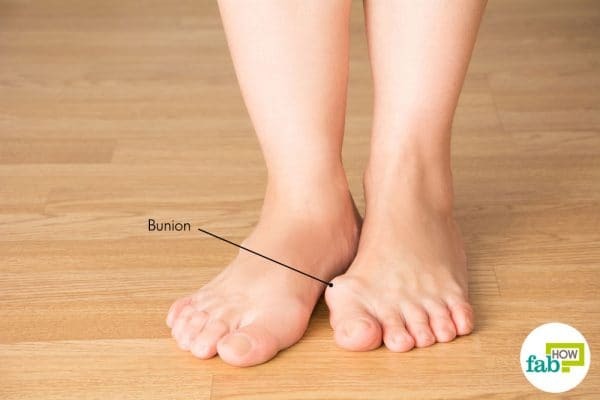 Once you understand bunions, you’ll get the connection. A bunion, medically known as hallux valgus, is an abnormal bony growth on the foot that causes the joint of the base of the big toe to become enlarged and stick out. This condition can also arise in the pinky toe, resulting in a bunionette or tailor’s bunion. High heels or tight shoes that keep your toes bent inward and put considerable strain on your toe joints. Genetics. Bunions can run in the family and be caused by some sort of inherited poor foot structure. Foot deformity at the time of birth. Rheumatoid arthritis or gout that affects the joints in the feet, especially the big toe. Neuromuscular conditions, such as cerebral palsy and Marfan syndrome that lead to inflexible joints and low muscle tone. An injury causing the big toe to be pushed toward the other toes. Uneven legs. If one of your legs is longer than the other, you may develop a bunion on the big toe of the longer leg. Poor form when walking, running or exercising, such as excessive foot pronation. The primary symptom of a bunion is a large bump jutting out from the base of your big toe, resulting in your big toe pointing inward toward the other toes. A bony bump on the side of the foot at the base of the big toe. Swelling at the base of the toe. Pain and tenderness in the big toe joint that worsens while walking or exercising. Visible shift of the big toe toward the other toes. Corns and calluses formed over the bump. Change in the structure of your foot, making it difficult for you to wear shoes. Wear well-fitted shoes with a wide toe area to avoid excessive pressure on the big toes. If bunions run in your family, it is advisable to get your feet examined by a podiatrist at an early age to slow down or stop the development of bunions. Maintaining a healthy weight can also help prevent bunions from forming. Wear supportive shoes or use arch supports to prevent excessive pronation while walking or running. A few home remedies can help you get rid of a bunion if used during the early stages. However, severe cases may require surgery to completely remove the bunion. Read on to learn four home remedies to get rid of bunions. Massaging also allows the synovial fluid to move around the joint and dissolve the excess calcium hardened in the bunion, shrinking its size. You can use olive, coconut or castor oil for massaging. Drink a glass of water before starting the massage to hydrate your body and increase your blood flow. Rub lukewarm olive or coconut oil on the affected area. Apply moderate pressure and massage the side of your foot in a straight line. Massage the bunion as well as the base of the big toe for 10 minutes twice a day. You should start to feel the difference after just 2 days. You should see visible changes after 1 week. Continue with the remedy for 1 month to get rid of the bunion. Grab a thick elastic band and put it around both of your big toes. Turn your feet outward until you feel the stretch in your toes. Hold the position for 1 minute, then relax your feet. Do the exercise for 15 minutes twice a day. Arching the balls of your feet upwards, press your toes against a hard surface for 10 seconds. Flex them in the opposite direction and hold again for 10 seconds. Repeat 3 or 4 times, several times a day. Sit on a chair and place a tennis or golf ball beneath your foot. Roll it back and forth, especially beneath the mounds of your toes. Repeat 5 to 10 times daily. Sit on a chair and cup the sole of the affected foot in your palm. Work your fingers as far as you can between your toes, then move your toes back and forth for 5 to 10 minutes. 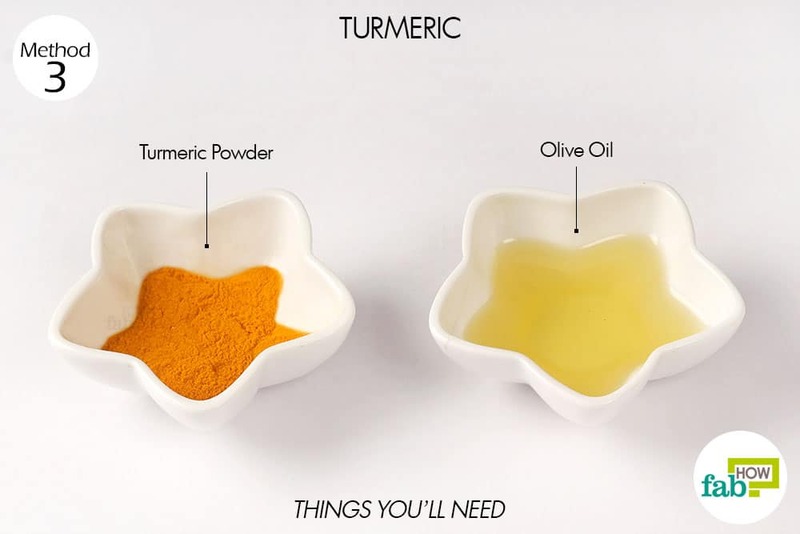 Put ½ teaspoon of turmeric powder in a bowl. Add 1 teaspoon of olive oil to the turmeric. Apply the paste directly on the bunion. Leave it on for 20 minutes, then rinse it off with cold water. You should feel some instant pain relief. 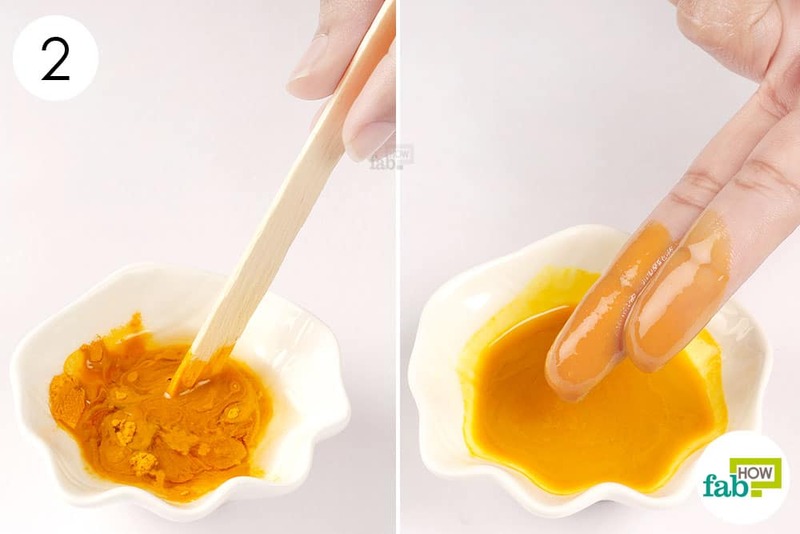 Repeat the remedy 2 or 3 times daily to get rid of bunions in 4 to 6 weeks. Also, you can stir 1 teaspoon of turmeric into a glass of lukewarm water or milk, and drink it twice daily until the bunion is gone. 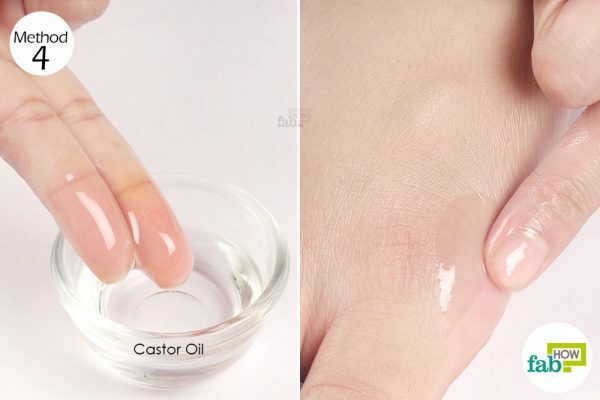 Castor oil can help to get rid of bunions as it is anti-inflammatory and analgesic in nature. Massaging the bunion with warm castor oil will ease the pain immediately. Regular massages with castor oil – along with the foot exercises mentioned in Method 2 – will help shrink the bunion considerably over time. Apply the oil on the bunion and gently massage it for 10 to 20 minutes. Alternatively, you can soak a cotton ball in warm castor oil and secure it over the bunion with medical tape for 20 minutes. Also, massage the base of the toe to increase the circulation in and around the bunion. Repeat twice a day to see significant changes in 2 weeks. The castor oil remedy will cure the bunion in 2 months. Bunions are often accompanied with corns and calluses. Soak your feet in an Epsom salt bath to alleviate the pain and work away at the corn or callus. Use an ice compress to numb the area for instant pain relief in bunions. Always wrap an ice compress in a thin towel. Do not apply it directly on your skin. You can also use a gel ice pack. To reduce friction while wearing shoes, you can buy bunion pads and place them on top of your bunion. Avoid activities that require wearing constrictive shoes like ballet dancing. Bunions | Foot Health | Patients. APMA. https://www.apma.org/Patients/FootHealth.cfm?ItemNumber=979. Published 2018. Teyhen D, Robertson J. Bunion: Strengthening Foot Muscles to Reduce Pain and Improve Mobility. The Journal of orthopedic and sports physical therapy. https://www.ncbi.nlm.nih.gov/pubmed/27363573. Published July 2016. Chin K-Y. 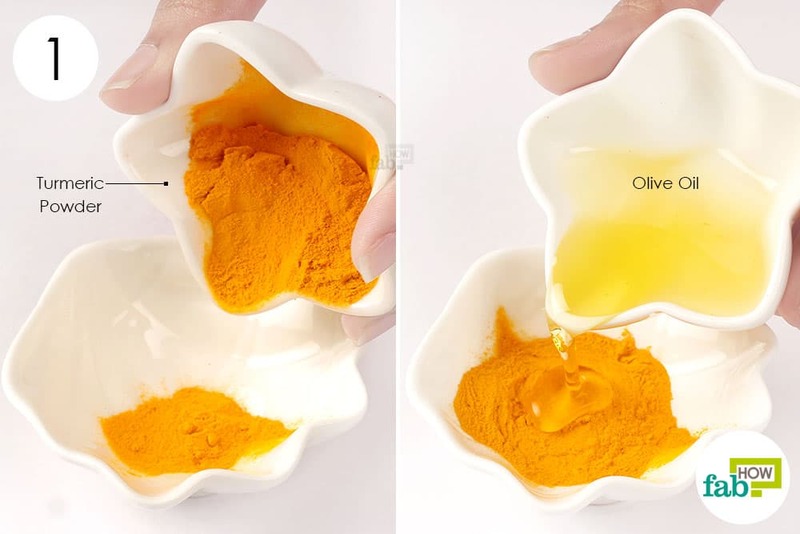 The spice for joint inflammation: anti-inflammatory role of curcumin in treating osteoarthritis. Drug design, development and therapy. https://www.ncbi.nlm.nih.gov/pmc/articles/PMC5036591/. Published September 20, 2016. Crawford C, Boyd C, Paat CF, et al. The Impact of Massage Therapy on Function in Pain Populations-A Systematic Review and Meta-Analysis of Randomized Controlled Trials: Part I, Patients Experiencing Pain in the General Population. Pain medicine (Malden, Mass.). https://www.ncbi.nlm.nih.gov/pmc/articles/PMC4925170/. Published July 2016. Thank you for sharing such an informative article about some possible remedies for bunions! Honestly, I never knew of this until I heard my wife talking about it with her friends. It’s quite astonishing to learn that this could be gained due to wearing high heels and constricting shoes which is possibly why the ladies are more aware of this. I’ll be sure to have a talk with my wife later and make sure to have her bunion treated as it looks painful to have. Thanks! Obrigado pelas suas palavras gentis. Em breve estaremos trabalhando para tornar nossa página facilmente acessível em outros idiomas também. Merci pour le partage grandement apprécié, je vais suivre vos précieux conseils et ainsi aider ma maman qui à ce problème elle éprouve aussi des difficultés à marcher à cause des bunions. Merci beaucoup pour votre commentaire. Nous espérons que son état s’est amélioré au fil du temps. Nous vous souhaitons une bonne santé.